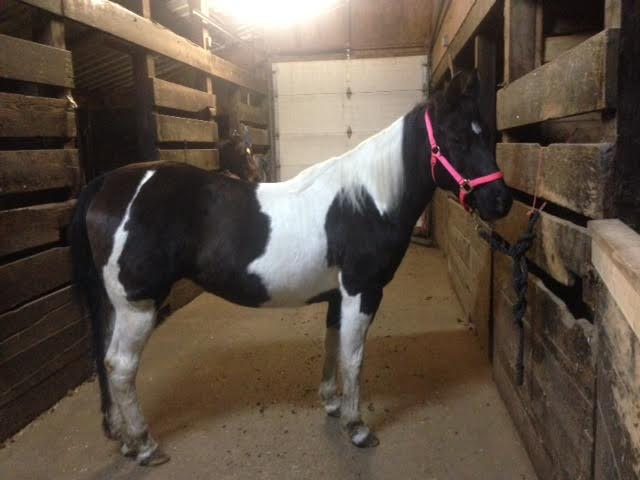 Angel is a 1999 14.1hh black and white pinto mare (Saddlebred/Arab/Welsh). 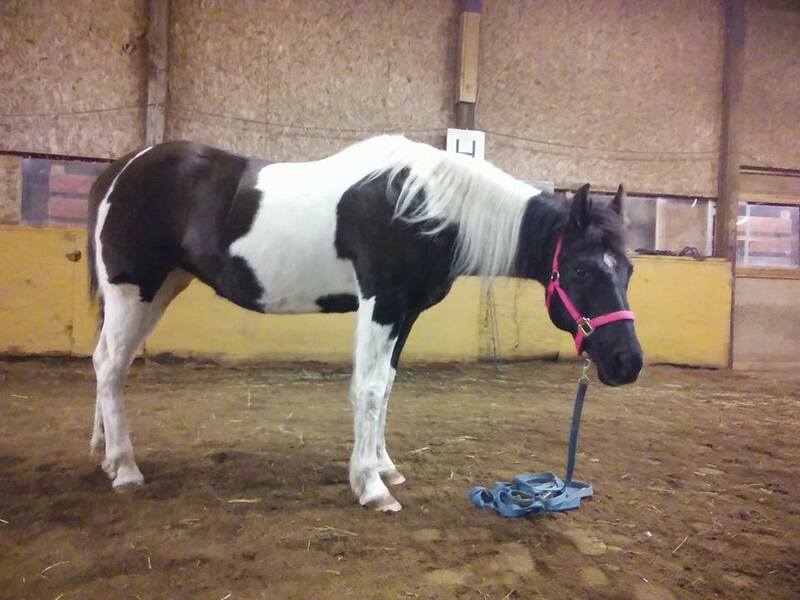 She was originally surrendered to MHARF, was adopted, and is now being returned because her adopter can no longer keep her. 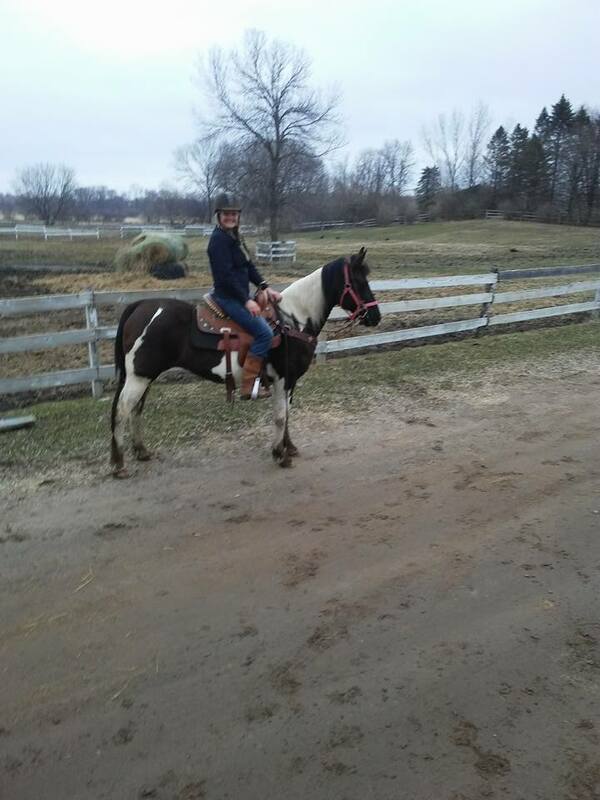 She is a nice mare with good ground manners. 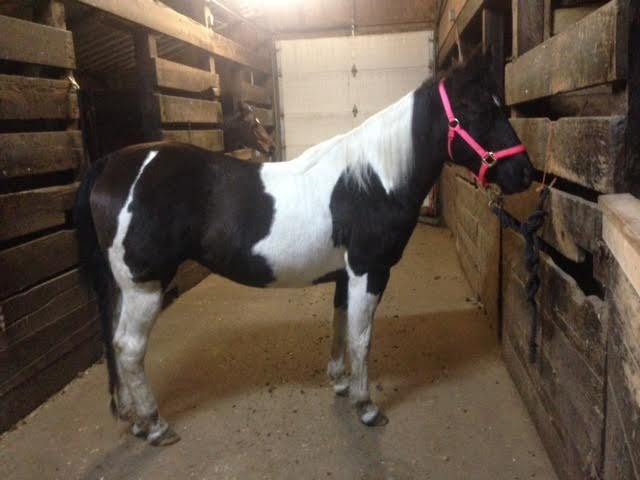 She is good for the vet and farrier and is an easy keeper. 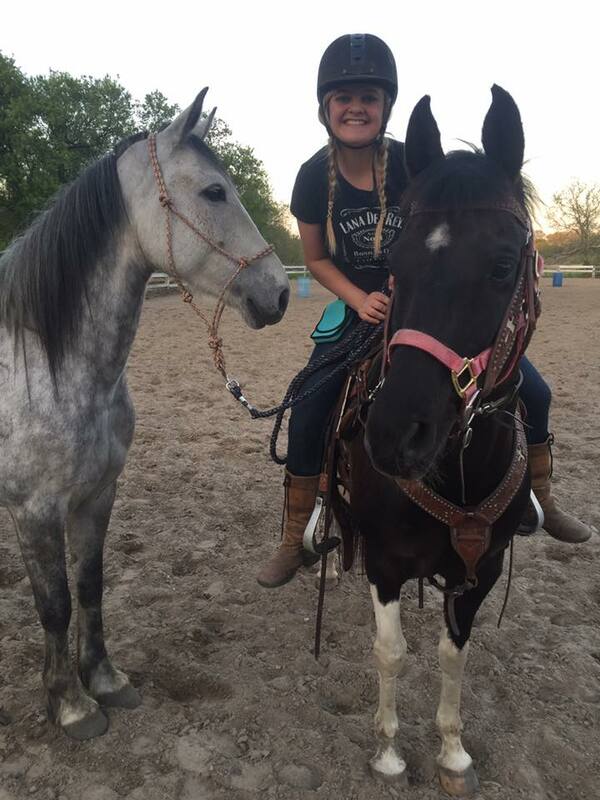 She is broke to ride and is currently back in training with Marirose Berner. 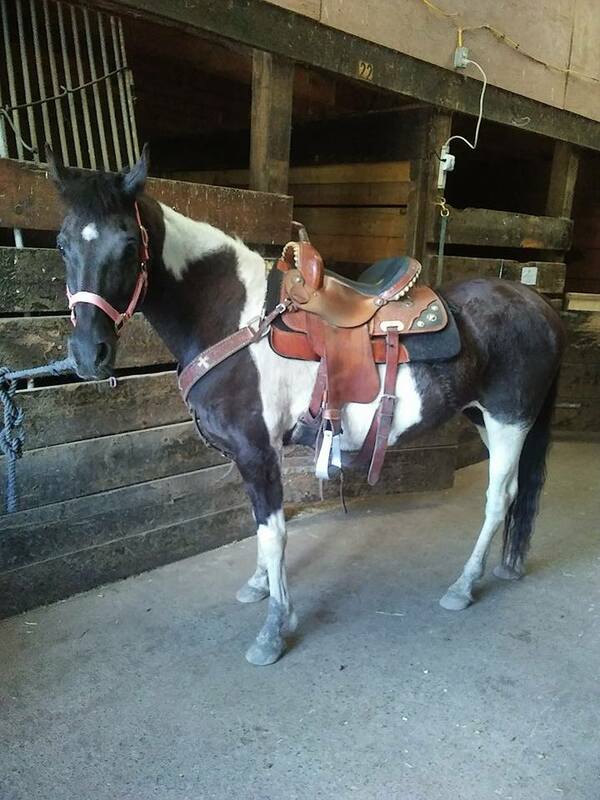 She is probably best suited as a trail horse and does like to go out with other horses. 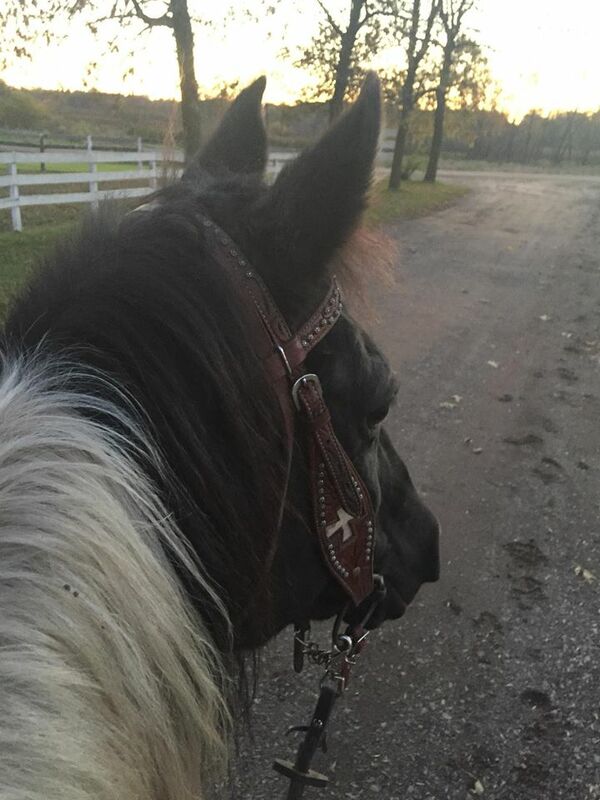 You can see Marirose’s updates on Angel’s Facebook page.